A big congratulations to pro staffer Tim Steigerwalt on his Montana bull. Awesome job buddy! Tim Steigerwalt is shooting the Mathews Halon 32 with much success. Come into the shop to find a great deal on your next bow. Big time Congratulations to AJ for getting it done once again. He took this old, wide, Bucks County Monarch with his Mathews Triax. Thanks for once again setting the bar high for the rest of us to chase all season!! Congrats to Ralph for taking this beautiful 8 pointer at 75 yards with his Ravin R20 equipped with the Sniper Package. Great shooting brother! 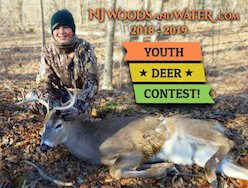 Congratulations to our own Mark Hess for this Pope and Young Giant taken in Bucks County with his Elite Impulse 34. Hard work scouting and a little patience really paid off!!!! 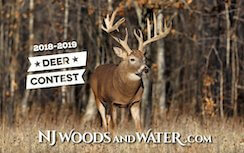 Congratulations to Gary Transue for getting it done tonight in Bucks Co.
Gary is shooting his Mathews Helium and Carbon Express Mayham arrows tipped with G5 Montec heads. We love seeing the success of our customers. Congrats to the hunters on some very impressive animals! Congratulations to our buddy Wilson J Boyd Mcswain on this Bucks co.giant!awesome job on a gorgeous buck! Wilson is shooting his Mathews Halon 32,Easton Axis arrows with the G5 Montec head. A huge congratulations tonight goes out to Aj on his first traditional Harvest.Aj has been working on his recurve shooting for the past year and even competed in the 2018 Lancaster classic in the Barebow class. Awesome job buddy!we are very proud of you for getting it done with stick and string.What a great accomplishment! Aj is shooting a Tradtech Lobo ILF riser matched with the Tradtech RC Xtreme Limbs.GT traditional arrows tipped with a Single bevel 200 Grain cutthroat Brodhead. Congrats to Chris Watkins for breaking in his new bow proper. Chris is shooting his G5 Quest thrive with carbon express Mayhams tipped with wasp hammer Sst’s. Congrats to Ralph on this Old Michigan Wide-Boy taken with his Elite Ritual, Easton FMJ Arrows and Rage Trypan Broadheads. Looks like “Wide” is the Word for this Season. Great Job Brother!!!! Thanks to Bob & AJ’s Archery World for hooking me up with my Mission MXB Crossbow, and my Rage Trypan broad heads. I was able to lay the smack down on this rutted up 6 pointer. Congrats Carol on this Michigan Beauty taken with her Ravin R20 and Rage Trypan Broadheads. Awesome Buck Carol...Great Job!!!! Congratulations to Tony Cutter on this Beautiful Iowa giant! Tony is Shooting his bow tech realm, carbon express maxima red sd’s tipped with the Muzzy Trocar hd-ti. Tony if a friend of the shop and worked real hard on his setup last year to be ready for this season. Amanda's 1st Buck with her new bow, it shot great! Thank you, AJ.